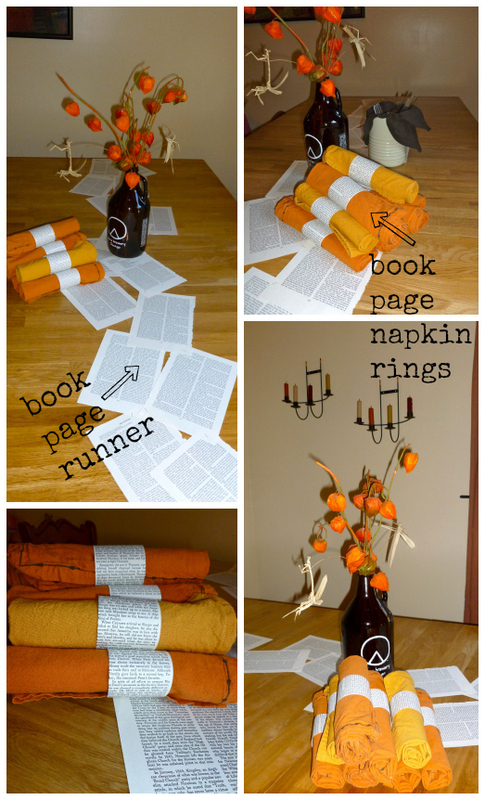 Ever since I saw the book-page runner (as part of a wedding feature) I've been looking for an excuse to make one. 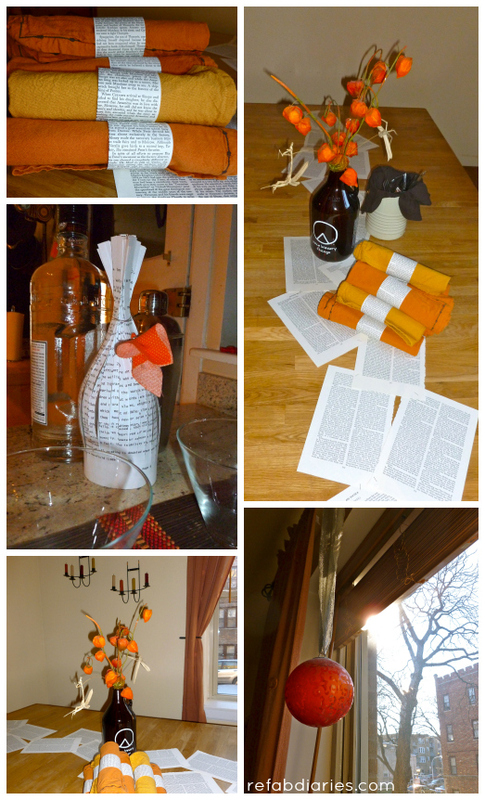 It's really simple: book pages stapled (or taped) together to create the shape and length you need. Then, using pages from the same old Reader's Digest "classic" compilation, I cut along the column lines and wrapped them around linen napkins. They looked good and provoked a whole lot of silliness ... because it's really hard not to read your napkin ring! The growler from Chicago's Piece Brewery served as a centerpiece. Because books and beer go well together! 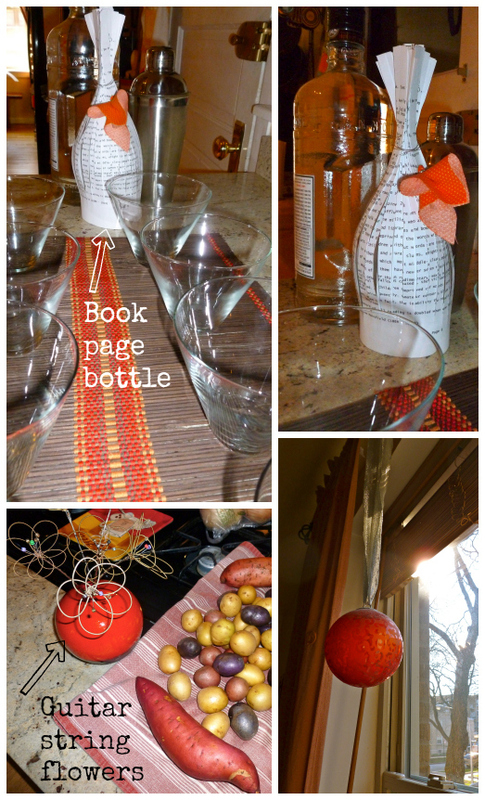 I love this book-page bottle (also a luminary) - tutorial here. The Stringcycle guitar-string flowers have been somewhere in my home for about 7 years. 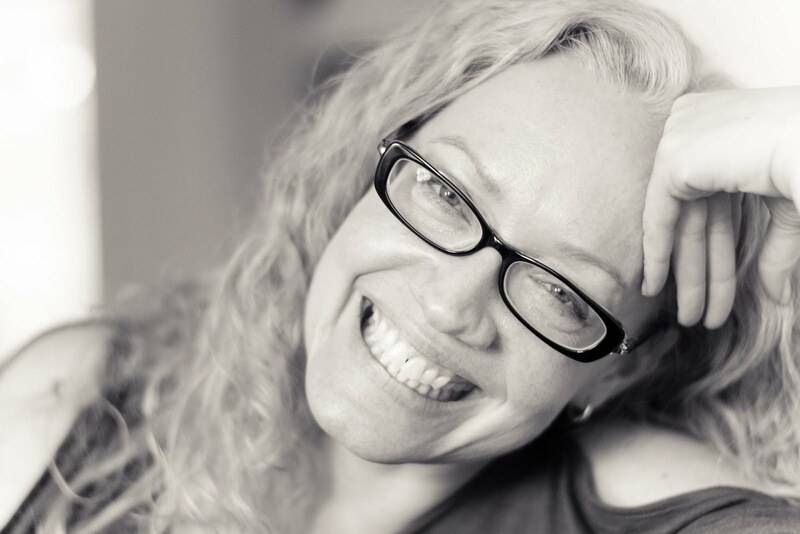 I was lucky enough to have Julia Friend (Stringcycle) as my first ever guest blogger this year ... tutorial here. I featured this little book clutch quite recently. 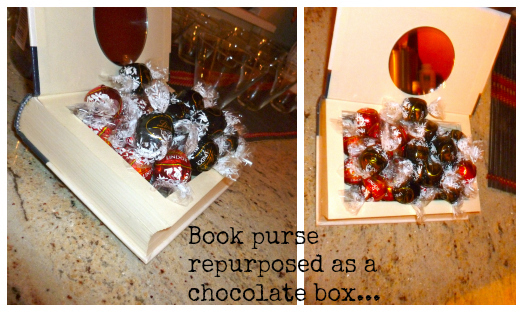 I decided to repurpose it as a chocolate box for the evening ... because ... why not? Instructions here. There was food, of course. And amazing cocktails involving ginger simple syrup and prosecco (care of my friend Lisa). I should probably post the recipe! 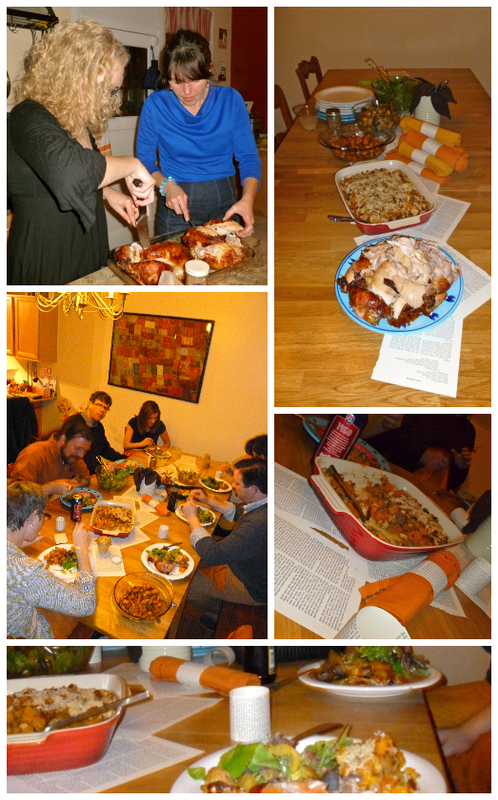 4 comments on "Repurpose: Bookish Friendsgiving..."